Chandeliers and Champagnes' Jessie Sulidis and Leah Feeley headed to Sin City this past weekend for the ultimate girls' weekend! 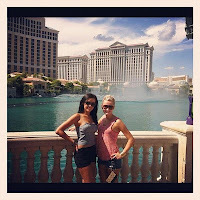 What happens in Vegas sometimes gets pictured and put on our blog! The girls stayed at the beautiful, modern and chic Cosmopolitan Hotel of Las Vegas where they enjoyed their days poolside at the hotels 3 pools; The Boulevard Pool, Bamboo, and Marquee DayClub. The Bamboo was the best pool for a mix of relaxation with a twist! So many good looking people sat poolside sipping drinks to some great music. The Overlook Grill is an amazing way to start your morning with a delicious breakfast menu overlooking the Boulevard Pool. The C&C Girls sipped Mimosa's before hitting the pool deck. If you're looking for a great pool party, Marquee is the place to be on an afternoon. Amazing music, open bar for women and a great party atmosphere. 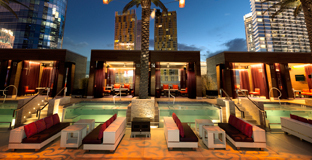 The Dayclub then turns in to one of the hottest night clubs on the strip at night! This is a must when in Vegas! The hotel is every woman's dream--feather boas, diamonds, chandeliers and of course girly inspired drinks! 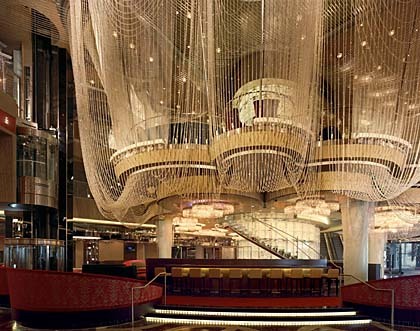 A must see at this chic hotel is the Chandelier Bar! You literally sit inside a chandelier and sip martinis and champagne. 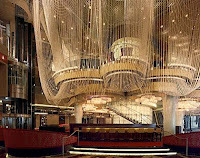 Cosmo is the best place to stay on the strip as its centrally located so you're close to all other parties and hotels. Within a few minutes walk you're at the pool party and night club HAZE at the Aria, a quick 5 min cab an you're at Encore Beach or TAO night club. The C&C Girls celebrated Jessie's birthday early by enjoying the spiritual Asian Bistro TAO for dinner and drinks one evening. The girls sat on the second level which over looked the entire restaurant located inside the Venetian Hotel. What amazing food-- all prepared as sharing dishes. The C&C Girls highly recommend the satay of Chilean Sea Bass with Wok Roasted Asparagus, Shrimp Tempura Roll with curry sauce, Crispy Coconut Shrimp and the Kung Pao Chicken. The Bistro later turns into one of the hottest night and beach clubs. Another dining favourite of the trip was visiting the Bellagio Hotel and experiencing the amazing tastes of Fix. 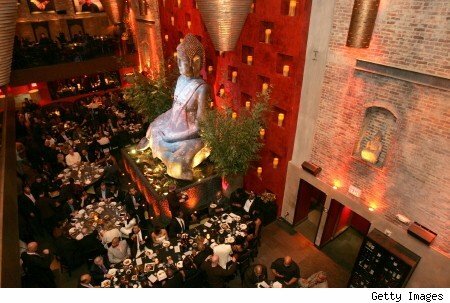 Fix is the perfect combination of exciting American culinary classics in an innovative and organic setting. Enclosed from floor to ceiling in Costa Rican padouk wood the restaurants open environment provides the ideal spot to taste the wonders by Light Groups Executive Chef Brian Massie. The C&C Girls highly recommend the Crispy Skin Chicken! It was a table favourite. After dinner the girls suggest hitting the Bellagio's HYDE nightclub! Looking to have a relaxing afternoon on the Vegas strip checking out the latest fashions? Vegas has some of the best locations for shopping. The girls recommendations are: The Premium Outlets South, The Fashion Show Mall, The Forum Shops (Caesars Palace), Miracle Mile Shops (Planet Hollywood), and the Grand Canal Shops! In between our shopping we had an amazing taco salad with margaritas from Jimmy Buffets' Margaritaville. 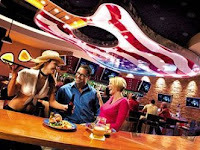 The trip was complete when the girls got to bring out their country side and hit the dance floor and live music at Toby Keith's Bar & Grill inside Harrah's. The girls drank from amazing jars and enjoyed live music from the house band covering Jason Aldean, Keith Urban, Luke Bryan etc. This was a highlight for the girls' as country music is a favourite!